The church at Llanilltud Fawr (aka Llantwit Major) in the Vale of Glamorgan has one of Wales’s best collections of ‘Celtic’ crosses and other early stone carvings. The parish and the local history society have led a major project to rebuild a ruined Galilee chapel at the west end of the church to provide a better display space for the stones. 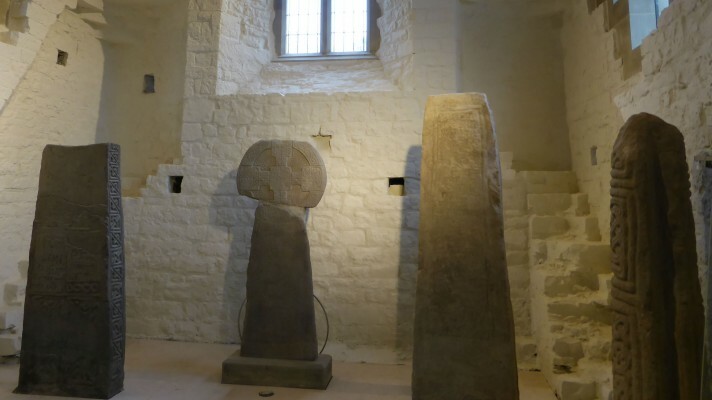 I’ve been helping with this and with their latest project, a pilgrimage route across south Wales linking sites with important collections of early stones – Llandaff, the National History Museum at St Fagans, Llanilltud itself, Merthyr Mawr and Margam.